Produced from molasses and usually aged with the solera system. 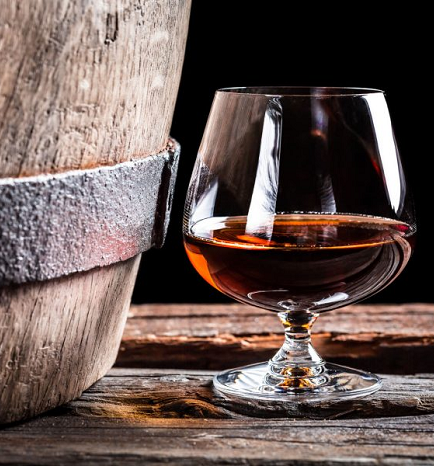 It is most common to found light rums, in which caramel and sugar is often added; they can be dry or sweet. The main production areas are the Caribbean and Central America, but they can also be made out of this area, among other in Paraguay, Peru or Spain (Canarias, where it also exists the honey rum with more than a 2% honey bee which its own specific geographical denomination; and Granada). White Rum: clear, dry and light rums. Colourless, as it is the liquid that comes straight out of the distillation process or filtered to remove the colour if they have been in contact with wood; its flavour is more neutral than that of golden rums. Available both aged and unaged. Golden Rum: a rum with a more or less intense amber colour, due to the contact with the wood during the aging process, which can be enhanced with the addition of caramel. Its flavour is more intense. Available both aged and unaged. We can also talk about Ron Extra Añejo for products aged more than three years and usually up to 15 years.